Michael Taylor, senior vice president at PNC, manages community development banking in the western territory of PNC’s footprint. Cleveland’s Fairfax neighborhood is as unique as it is typical. Once a solid, middle-class neighborhood situated between downtown Cleveland and the University Circle cultural area, Fairfax suffered from a loss of population over the decades and began to decline. Today, Fairfax is home to more than 5,000 people, the majority of whom are in low- to moderate-income families. The impact of the recession of the late 2000s still lingers as some of its residents struggle with a lack of education and, therefore, the inability to get a job. 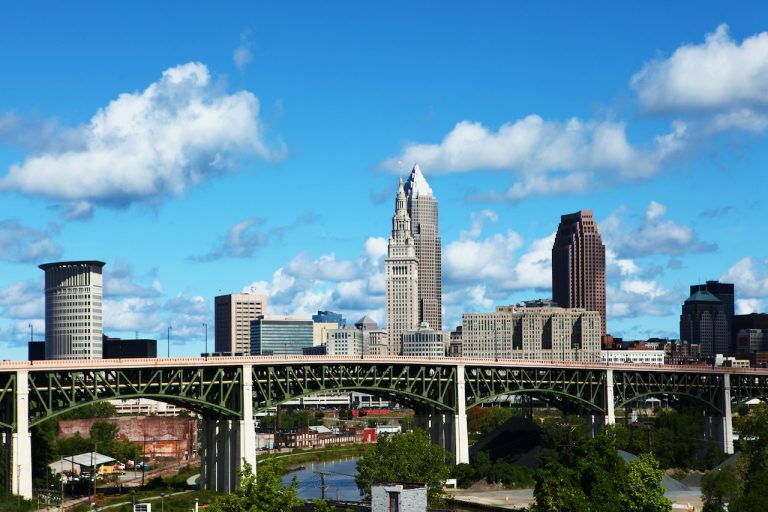 In stark contrast, the neighborhood is also home to the world-renowned Cleveland Clinic, a city within a city that includes shiny, new buildings where doctors care for patients from around the globe and researchers look for cures for a host of illnesses. So why couldn’t all of Fairfax be a place of enjoyment for its residents as well as a catalyst to strengthen the region’s core? It has all the right components. All it needed was organizations that could envision a stronger future and were willing to stray from the norm of ignoring aging parts of the city. Enter the city of Cleveland, Fairfax Renaissance Development Corp., Cleveland Metropolitan Housing Authority and PNC Bank. Together, we have mapped a plan to revitalize the Fairfax neighborhood. But the vision didn’t stop there. Resources were needed to help this community get back on its feet and become self-sustaining. Another boost for the community has been the PNC Fairfax Connection. PNC worked closely with the Fairfax Renaissance Development Corp. to connect with local residents and develop programming to fit their needs. As a result, the free community resource center provides programs such as financial education, resume writing, professional development, access and training on how to use state-of-the-art technology, healthy eating and preparing for higher education. PNC also partners with area organizations such as the Cleveland Clinic, Cleveland Museum of Art and the Cleveland Museum of Natural History, which bring their programs to the center. An unprecedented undertaking by a bank, the PNC Fairfax Connection has sought to provide resources to the residents of Fairfax and the surrounding communities that they might not be able to otherwise access. The center has relied on direct input from the community to shape everything from its mission to its building and ever-evolving programming. In its first five years, the resources and partnerships provided there have helped people accomplish goals, such as joining the technology age, reentering the work force and attending college. The work isn’t done, but the Fairfax neighborhood is moving toward a self-sustainable future. Such thoughtful and planned development is revitalizing other Cleveland neighborhoods as well. The Glenville neighborhood’s rebirth is being launched with the opening of the PNC Glenville Arts Center, which provides housing for visiting artists and a public space that can be used for a variety of meetings and performances. The Gordon Square district of the Detroit Shoreway neighborhood, initially inhabited by Italian immigrants but abandoned by many in recent decades and largely forgotten, is experiencing a renaissance as well, thanks to careful planning that began 20 years ago with the building of market-rate housing before it was needed. With housing in place, one project still needed to be completed before the full neighborhood rebirth could be realized. The Capitol Theatre, which opened in 1921 as a house for Vaudeville and silent movies, had served as a cornerstone of the neighborhood before deteriorating and closing in 1985. It was badly in need of repair, so PNC worked with the Detroit Shoreway Community Development Organization to restore the theater. The Capitol was renovated and reopened in 2009 as a three-screen theater. Once again a pillar of the community, the Capitol Theatre and the new housing spawned other neighborhood development. Today, Gordon Square is bustling on many evenings at its restaurants, bars and cafes. Jobs and additional housing have been created and theaters have been refurbished, making this neighborhood an economic cornerstone of Cleveland’s West Side. So why bother revitalizing these old neighborhoods when we have so many great, newer assets throughout the region? It’s widely recognized that a strong urban core is necessary to create an economically healthy region. And businesses are only as strong as our neighborhoods and its residents. But progress doesn’t happen by accident; someone must take the first step. We have found when we take a risk by becoming an early investor in a neighborhood that is just beginning its revitalization efforts, we open the door to the private sector to invest in that neighborhood. We give them the nudge they need to take a chance. While revitalizing a community makes good business sense, it should be done in a strategic manner. A true neighborhood renaissance that includes key elements, such as affordable housing, educational facilities and arts complexes, requires a long-term commitment and strong partnerships. Ideally, that commitment results in stable neighborhoods and healthier communities.